ABW is a growing trend across the private and public sector for both small to large organisations alike. The information below aims to assist you work safely and effectively within this type of environment. It includes information regarding how to set up your workstation, the importance of moving, key features, risks and strategies to maximise the benefits of an activity based workplace, and who to contact if you require an assessment. Adjust chair so feet are flat on the floor, backrest between 90-100 degrees, seat pan horizontal and lumbar support in line with lumbar curve of your lower spine. 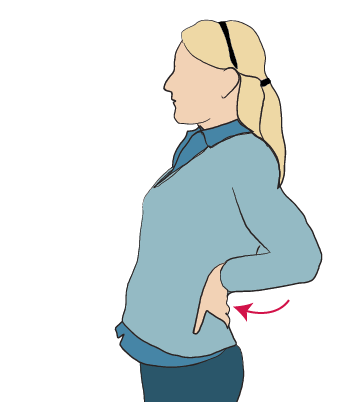 Ensure desk is set to the either the sitting or standing height that has been recommended for you (shoulders relaxed, elbows at 90 degrees or slightly larger and wrists straight). Monitor and laptop at a height where neck is neutral or slightly bent when viewing the screen. Mouse next to the keyboard and keyboard approx. 100mm from the edge of the desk. Stretching throughout the day is vital. Here are some instructions on how to do it safely and effectively (note: if you are receiving treatment you should check with your Doctor or Health Professional before commencing these exercises). If you feel any pain or discomfort while doing these exercises stop immediately and consult your treating practitioner. 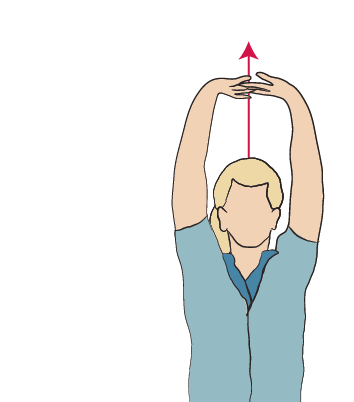 First, warm up muscles by moving body parts required for the tasks to be performed. then slowly lean from side to side. 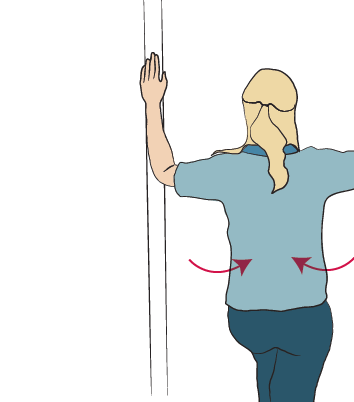 Place hands at shoulder height on either side of door frame. Squeeze shoulder blades together. Take one step forward feeling stretch across chest & front of shoulders. Take arm across body. 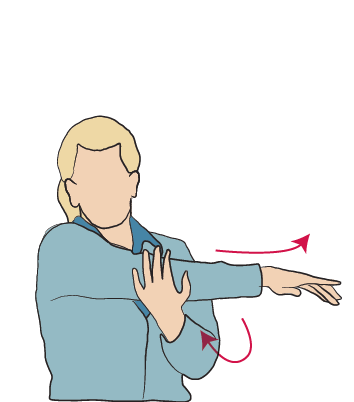 Hold elbow with opposite hand and pull elbow gently towards opposite shoulder until you feel a stretch in upper back and shoulders. Put hands on your lower back. Gently push hips forward and arch back over hands while looking forward. 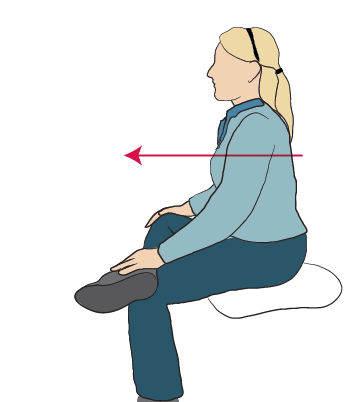 In sitting position place ankle on opposite knee. Lean forward keeping your back straight and chest out. You should feel the stretch through the buttocks. 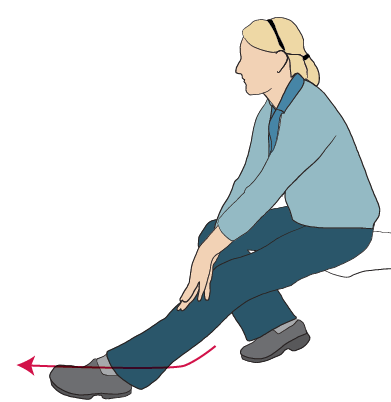 Place foot up on plant/step/object, or sit with leg in position shown with foot on floor and toes pointed. Slide hands down thigh keeping back straight. You should feel the stretch in back of thigh. Key features, risks and strategies to maximise benefit and what activity where? The following presentation provides a summary of the benefits of ABW and how to make the most of this environment, including what to do, where. Have you had a workstation assessment conducted by an Occupational Rehabilitation consultant in the ABW environment? What is the research saying about ABW environments? Employees are sitting less – partially due to the utilisation of the STS workstations.